Have you ever been interested in photography, but the whole technical dynamics seemed too difficult to understand? 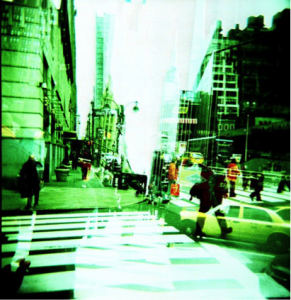 Consider shooting with a Holga. This plastic camera is very simple to operate. It is a stand and shoot type of camera with a built in flash. The body has a little opening to insert or take out the film. Taking photos on the Holga with 20 film, the price to develop the images is pretty cheap at fifty cents each, or about seven dollars for a DVD which will allow you to upload the photos to a computer. The outcome of the photos are extremely beautiful and artistic. The photos look like real professional film photographs and all you do is point the Holga and shoot. You can take the Holga anywhere, from clothing store events, friends houses, or walks around the block. Taking photos in Downtown San Diego at The Block is a favorite spot. A lot of urban teens and adult artists, musicians, designers, photographers, and clothing store owners gather here to enjoy life. The atmosphere is amazing and shooting photos of lifestyle around this block is such a great experience. The Holga allows you to build memories, brings joy to social gatherings, and ultimately the photos come out extremely nice. It is very simple to use and is great for any level of photography skill. 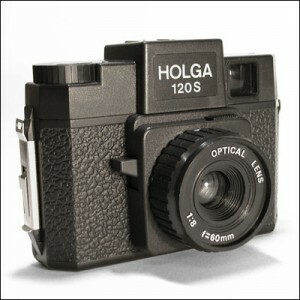 For those who are very experienced in the field of photography, I also recommend the Holga. It can be a fun camera to have in your arsenal of artistic weapons. 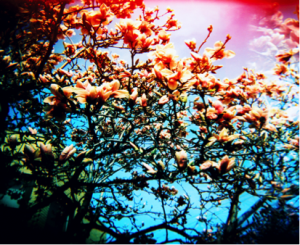 Shooting digital is always fun and professional but the Holga has its own originality to it. I love shooting with this camera and hopefully one day you pick one up too. The camera great for anyone interested in film photography. It’s very light, easy to travel with, and anybody can learn to shoot with it.